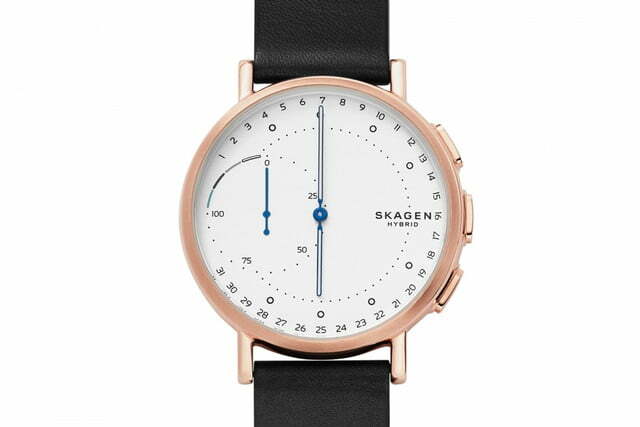 Leave it to the folks at Skagen, the 30-year-old Danish subsidiary of Fossil, to design a sleek, slim, and stylish smartwatch that doesn’t compromise on functionality. 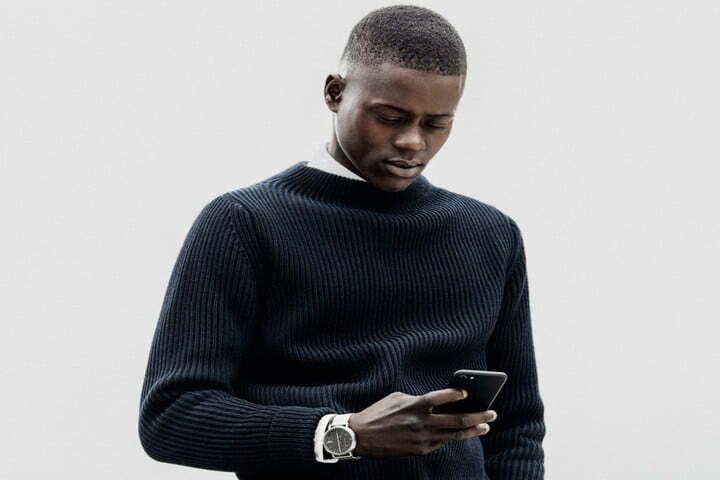 The Skagen Signatur Hybrid, the newest in the watchmaker’s Connected family, boasts activity and sleep tracking, tweakable notifications, and hands-free smartphone controls. That’s apparent from the get-go. The Signatur Hybrid’s iOS and Android app lets you choose which contacts and apps vibrate your watch or assign colored labels to contacts, apps, alarm, date, and time zones. 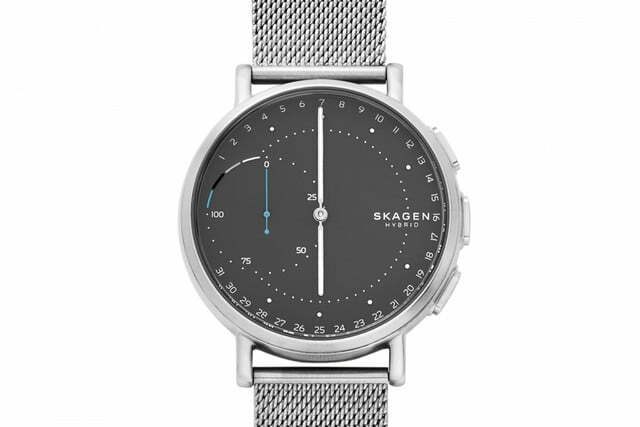 A hands-free mode allows you to program rings, music controls, and your phone’s camera shutter button to the Skagen Signatur Hybrid’s three buttons. The conveniences don’t stop there. The watch’s auto time and date feature automatically update the Signatur Hybrid to account for traveling, time-zone changes, Daylight Savings Time, and the number of days in any given month, and its activity-tracking features record your steps and sleep cycles. The Signatur Hybrid doesn’t skimp on design, either. The round watch features a large sub-dial, rounded buttons, and an all-metal unibody that extends to the lugs. 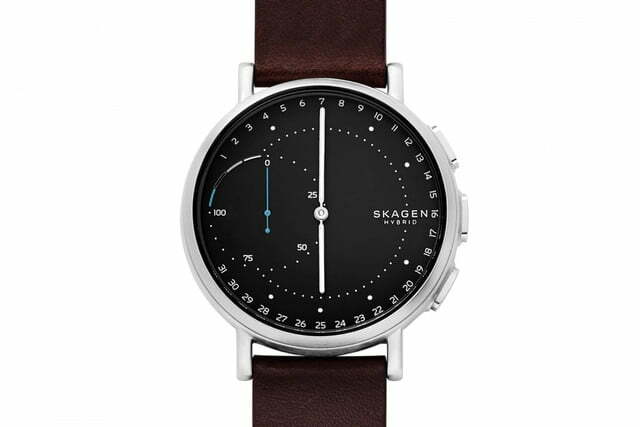 It comes in four colors, including silver steel mesh, brown leather with a black dial, olive leather with a gray dial, and black leather with a white dial, and packs a replaceable battery that last up to 6 months. The Signatur Hybrid smartwatches are available starting today, with prices on the four styles ranging from $175 to $195. 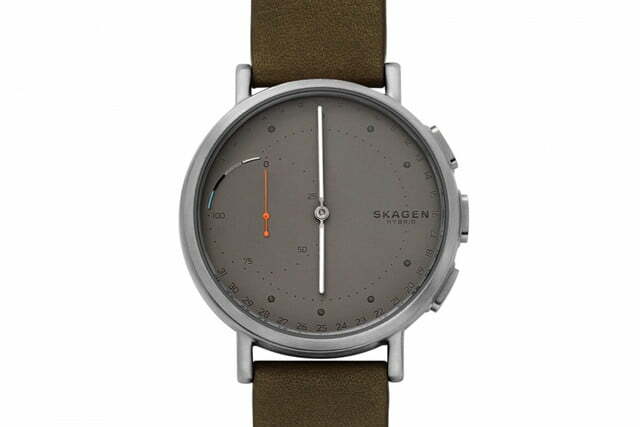 They’re the first of many to come; earlier this year, Skagen promised to launch 19 new hybrid smartwatch styles in 2017.